The Autumn Equinox also known as Mabon brings balance back between the light and the dark. The Spring Equinox brings in balance of the light and the Autumn Equinox brings in balance of the dark. Both the light and the dark co-exists because of each other. The balance of the darkening of the sky gives us time to reflect on all that we are thankful for, to process all of the energy and knowledge we learned during the previous seasons of abundance, and how we can continue to integrate that throughout the changing of the season. Autumn is a time of Harvest, and the Equinox is a time to fill up your spiritual basket. Think of the last 4 months of the year as a harvest period. You were growing and learning new things about yourself and your life purpose and manifested how you would reach that goal of living on your path. Perhaps you took an energy class or started to meditate, or learned about spiritual grounding. There may also be some lessons you learned along the way and patterns that you were finally able to alter. Look back at all those things you learned and decide which items you are going to put in your basket and carry with you down your life path. Sometimes it can be hard to release some of these items, and maybe some of the lessons involved co-workers, friends, or people from your past. When you continue to place those kinds of items such as energy from the past of someone you may have parted with earlier in the year, it is only going to weigh down your basket and make less room for another tool you may need. Spend the week around the Equinox visualizing your basket and what you want to move forward with. It is ok to put certain things in and then take them out and reorganize it as you go. You may think you are almost done and then find something you really want to take with you on the next phase of your journey. That means you have to take something else out. It is ok to let it go, and if you are simply not ready that is ok also. Bring it with you and know that when the time is right for you, you can remove it anytime you want. Meditate: With the Energies of the season shifting, spending some time meditating can be a good way for you to bring some the balancing and harmonizing energies into your energy field. You can also use meditation as a way to help you decide what goes into your spiritual harvest basket. Go Apple Picking: Apples are often a symbol of the fall season, and filled with many spiritual meanings. Spending some time harvesting the apples, connecting to something that grew from the earth will not only help clear your mind, and increase your spiritual energy. It will also help ground you. You can also work with the apples and incorporate them into your diet for the fall such as apple cider, apple pie, apple jam, apple butter, apple bread. The list goes on and on. Apples are truly a sign of harvesting so if including apples into your Equinox activities is something you decide to do, why not make it a celebration itself and make it a family or friends event as well. Clear & Clean your space: Just like spring cleaning it is a good idea to do a fall cleaning. Not only is it a good idea to do a thorough cleaning session in your home, or office, but you will want to clear the energy in your space to. Using sage, sweetgrass, holy water, palo santo or any other smudging tool you may have will not only help break up any stagnate energy, but clear it away and help you raise the vibrations around you, truly making your environment ready for the changing of the seasons. Participate in an Autumn Equinox Ceremony: An Autumn Equinox Ceremony can be a really fun way to participate in the magic of the season. It can also be a great family event. There are many kinds of ceremonies, from drumming circles, bonfires, blessing circles and so forth. 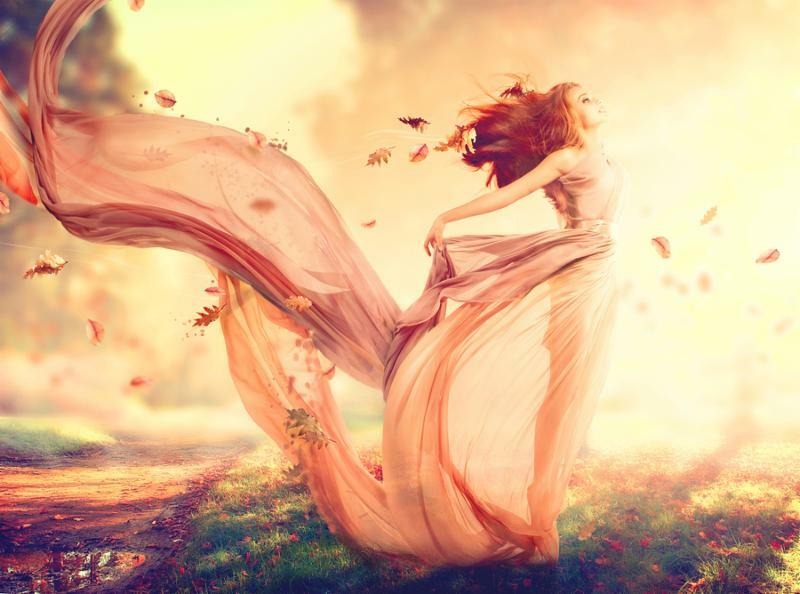 Any kind of Autumn Equinox Ceremony will also help you raise your energetic vibration and jump start the blessings that the fall months have to offer. Connect with Nature & Honor Mother Earth: There is something about the crisp air in the fall that brings in clarity and an oneness to the Earth. While spending time in nature, whether it be a walking trail, mountain, ocean or your back yard you are making a conscious effort to connect with the earth’s energy. A great way to honor that connection would be to leave an offering to the earth. Things like birdseed, acorns, sticks etc. are all good items to leave as an offering and express your thankfulness to Mother earth. They are also good items for the animals as they start to stock up for their hibernation period. Above all this season, express your gratitude for the lessons and the blessings of the past seasons and all that you have learned and gifts you have been given by the Universe. September is the month of Universal Love, Life Purpose, Soul Mission and Higher Perspective. The Universe is really asking you to take the energy of the Autumn Equinox and begin to live a soulful life and step into your purpose. You are in a true season of Harvest and it is time that you learn to appreciate the dark just as much as the light. Without one or the other, how would we know the difference or learn to appreciate what we have.